Tomorrow’s loyalty programs will look very different from their predecessors. The travel industry in particular is a prime candidate for disruption in this area. Frequent flyers aren’t relying on miles anymore, and loyal hotel guests need new options for redeeming points they accumulate night after night. The era of points-based transactions is quickly becoming outdated in favor of experiential rewards. 1. Wipe the slate clean and rebuild. Major travel brands have made sweeping changes to their loyalty programs. In early 2018, Wyndham changed the offerings for its loyalty members. United Airlines relaunched its MileagePlus X app to reward members for everyday purchases. These brands (and many others) understand that travel loyalty members need more options when it comes to earning and redeeming points. Implementing new programs that provide that flexibility was the right move for them, and it could be the best option for your travel brand too. 2. For those who can’t start over, take it slow. A complete refresh is not in the cards for everyone. For most brands, especially smaller brands, it’s a marathon not a sprint. The good news is that small shifts can make a big difference too. One of the biggest trends is to move away from purely transactional reward structures to experiential rewards. Incremental purchases, like allowing guests to purchase a drink at the hotel bar using their rewards, incorporates the loyalty component into their stay, rather than making them wait months or years to rack up points for a free stay. Another simple rule is to make sure exclusivity is reserved for the most elite members; give members a good reason to level up in your travel loyalty program. Enhancing a loyalty program can be an iterative process, improving over time based on trends within the customer base and in the industry. 3. Take a page from loyalty programs in other industries. Sometimes the best inspiration comes from unlikely sources. Instead of copying the strategies of other travel brands, see how other industries are innovating their loyalty programs. Today’s consumers are in contact with so many brands that they aren’t really differentiating between loyalty programs across industries anymore. Travel brands aren’t just up against each other anymore—they’re competing with their customer’s Starbucks rewards program too (and likely see more instantaneous benefits from the latter). Take a look at Walgreens’ Balance Rewards, for example. The program makes earning points easy by integrating customer data from typical sources, including online purchases and in-store enrollments. But they have also let members earn points through activities like achieving step goals on Fitbit and measuring blood pressure. Integrating daily interactions into the loyalty program keeps Walgreens top of mind and builds a more personalized experience. 4. Use big data for individual insights. Loyalty programs are inherently valuable because they transparently collect relevant transactional and behavioral data about their members. Used properly, that data reveals important insights that travel brands can use to tailor experiences for the individual traveler. For example, a business traveler who lives in San Francisco, which is a United hub, will have a much harder time moving up in Delta’s loyalty program than someone who lives in Atlanta. Knowing this, a travel loyalty operator with the right insights and technology could use this information to develop a hyper-personalized program for the San Francisco traveler based on her home airport and frequent flight paths. Travelers are looking for ways to earn and redeem points that are consistent with their lifestyle and preferences. Generating deeper insights and executing data-driven strategies will give loyalty marketers a competitive advantage. Many travelers are put off by complex loyalty programs. “Miles” are often accumulated based on the price of a ticket rather than the actual miles traveled. Co-branded credit cards and dine-for-miles deals complicate the earning process. 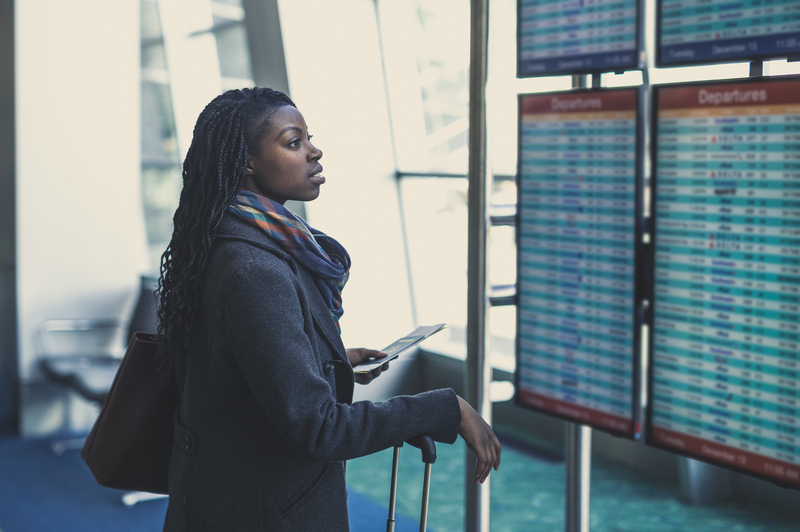 And even redeeming points is a challenge when trying to book trips around popular travel times, like school February vacations and the Thanksgiving holiday. Travel loyalty programs need to be simple, yet flexible. It’s important to accommodate the differing preferences and travel behaviors of each customer, while keeping the status qualification criteria easy to understand and simple to earn. Today’s consumers demand personalized experiences, so travel brands should adapt their strategies to offer multiple way for travelers to earn loyalty status. For example, travel brands could base loyalty status on frequency of flights taken for a business traveler who takes short flights, rather than dollars and miles. This type of traveler will appreciate the personalized perk and continue booking with a single airline to keep that status. When travel brands reduce the friction between booking with them and earning points, travelers are far more likely to be loyal. Loyalty marketers will need to keep their programs fresh with personalized ways to interact with their brand. If travel brands integrate loyalty into their business strategy and culture and keep travelers at the heart of their business, these changes can unveil a new world of opportunity. Interested in learning more about these trends? Check out our article on the retailization of loyalty.